Finding a great spot to fish Father’s Day weekend was a bit of a challenge thanks to recent, heavy rainfall. Another solid dose of rain fell Monday the 22nd, especially in extreme southeast Minnesota and northeast Iowa. 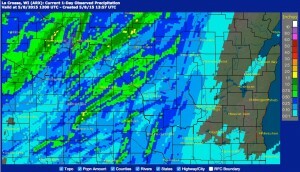 It was enough to make for flash flooding in northeast Iowa on the 22nd. Rivers have been running high, some dirty, but finding a clear stream is an easy task at this point. 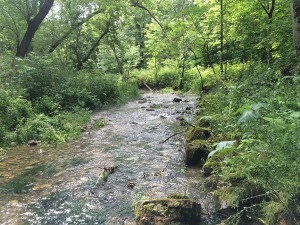 This entry was posted in Stream Conditions on June 27, 2015 by Randy. Sorry for the radio silence here recently, I’ve been sloughing off my free time on the stream. The fishing around here has really been great lately. We’ve had some insect hatches in southeast Minnesota hitting a tempo that I haven’t seen in my short 12 years of fishing here. 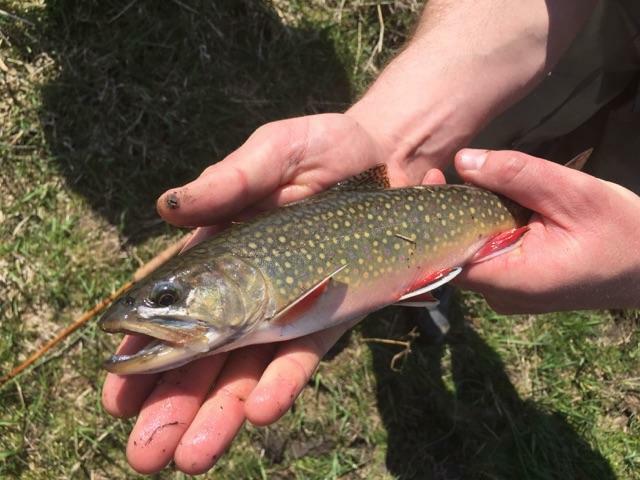 A buddy and I fished a stream north of I-90 on Saturday the 6th. There was a tremendous hatch of long-horned caddis. The caddisflies had very long antennae in comparison to their body length, and their wings were a brown, mottled color. The trout were very selective, but we still managed to catch enough fish that it only made sense to trade off every 3 fish instead of every other. A caddis green wet fly caught the most fish, but we spent a good hour twitching an elk hair caddis with good results as well. Neither of us had a caddis dry that matched the species hatching, and there actually weren’t a whole lot of rising trout, but the fish were actively feeding. We picked up a pop-up camper recently, so the past two weekends were spent camping. My boys and I camped at Forestville State Park the 7th-8th (love camping Sun-Mon when we can swing it) and then our whole crew + one extra dog spent the past few days at Whitewater State Park. 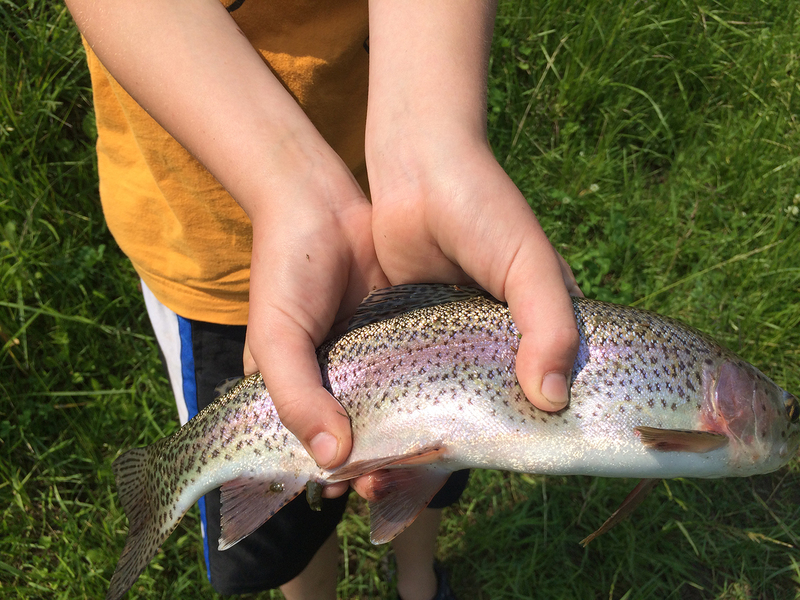 My oldest is still just starting out with fly fishing, but he did catch this nice rainbow all on his own. We worked through some sweet tippet knots as well, but I didn’t get any pictures of those. Last weekend, at least Sunday evening, there was an amazing mayfly hatch. There were March Browns, Light Hendricksons, craneflies, caddis, a few sulfurs, and a pale white mayfly. My boys and I stood in the river and watched the clouds of bugs until after sunset. We cast at a few risers, caught a few trout, and admired the bats as they flapped within inches of where we were standing. 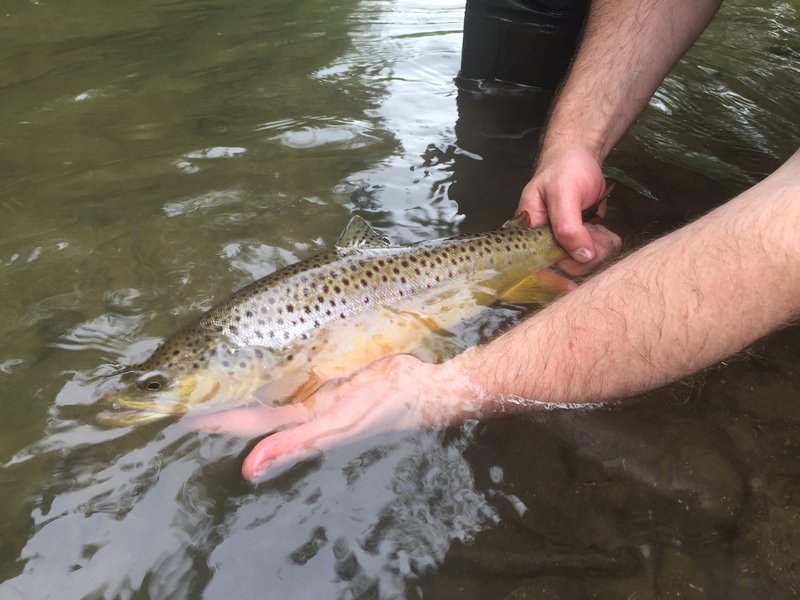 A yellow humpy cast to the right spot yielded a nice brown. Next weekend we’re headed to a park much farther southeast. 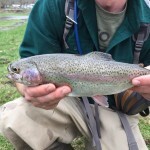 This entry was posted in fly fishing, Stream Conditions on June 14, 2015 by Randy. 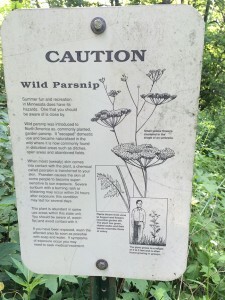 This entry was posted in Stream Conditions, weather on May 8, 2015 by Randy. This entry was posted in Stream Conditions, weather on May 4, 2015 by Randy. Per reports, caddis have been hatching, as have a few other insects in the mix. Warm, spring weather continues into the weekend with rain becoming likely late Sunday afternoon. It should be a great opportunity to take a kid fishing. This entry was posted in Stream Conditions on May 1, 2015 by Randy. 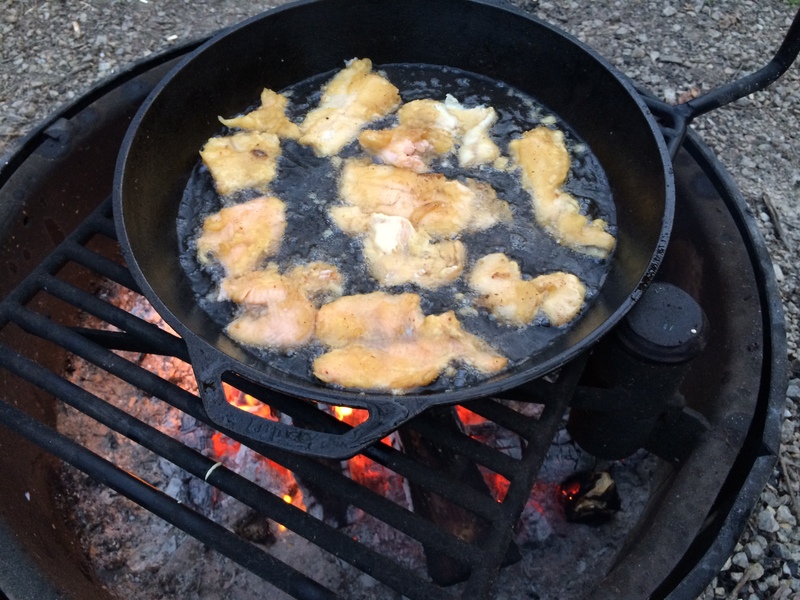 Due to a number of scheduling conflicts, this year’s Trout Camp had to fall on the same weekend as the catch and keep opener. 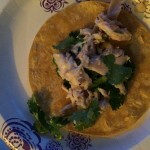 As frightening as that was, it turned out to be much better than I anticipated. 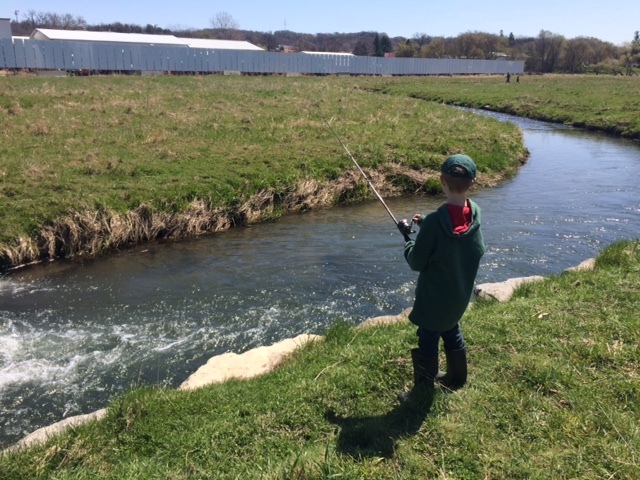 The campground and the streams were busier than usual on Friday through Saturday, otherwise everyone cleared out rather quickly Sunday and we didn’t see anyone else out fishing on Monday. Overall, great friends, good fishing, and a welcome reprieve to a river valley with no cell phone reception. 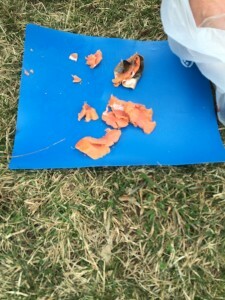 Friday: the weather was amazing, maybe even too warm with the lack of wind although we didn’t have too many complaints. First fish, first run, first cast – great start to the day. On an upper reach of a spring creek, water temperatures stayed around 48 degrees despite air temperatures in the mid-70s and full sunshine. The catch rate was fair to good. 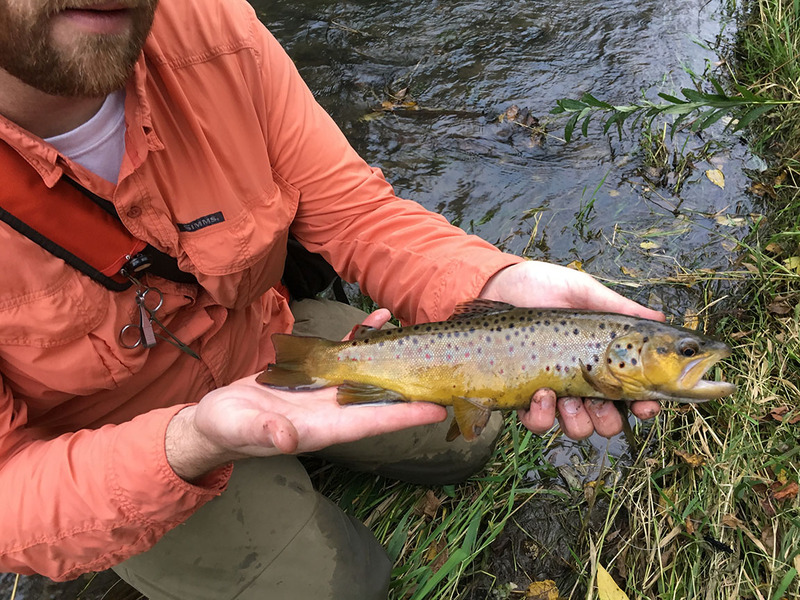 Fish were caught on peeking caddis size 16, caddis larva size 16, pink squirrels, orange scuds, copper johns, and pheasant tails. Farther downstream in the afternoon there were quite a few caddis bouncing around on the water. Unfortunately, despite the hatch, there were no rises seen, very few fish caught, and very few fish spooked. Something seems amiss through that popular stretch of water. Saturday: opening day. 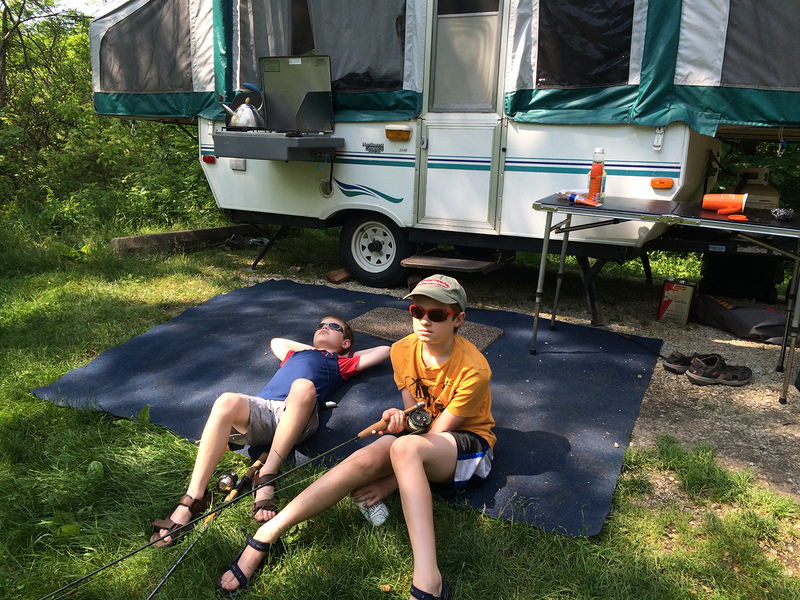 We ventured into the big woods south of I-90 and fished a relatively popular stretch of water. Every access point was loaded with about 6-8 cars when we arrived, which we expected. What I didn’t expect was the majority clearing out of the stream before lunch. The water temperature was 58 degrees on this stream; warmer than the waters fished previously. By the end of the afternoon there were very few people left fishing. 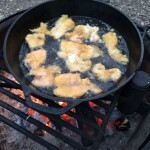 We caught a lot of fish, kept a few, and had an amazing dinner of fried trout filets, trout tacos, and altogether too much to eat. 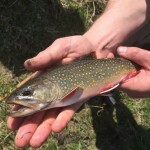 I hadn’t fished on opening day in at least 10 years and it was well worth the extra effort. 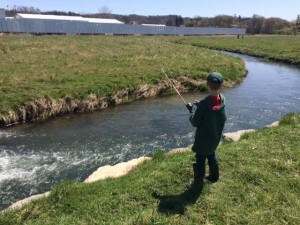 Sunday: we took a long walk on a cold stream and caught a few fish. There were showers, but not much rain, it was overcast and cool with temperatures in the 50s. The fishing was difficult through the morning although we did catch a handful right out of the gates. The fishing picked up a little in the afternoon. Fish were caught on midge larva, copper johns, peeking caddis, and san juan worms. A few, nice glory fish were caught in front of the camping onlookers who said those were the first fish they’d seen caught all day. 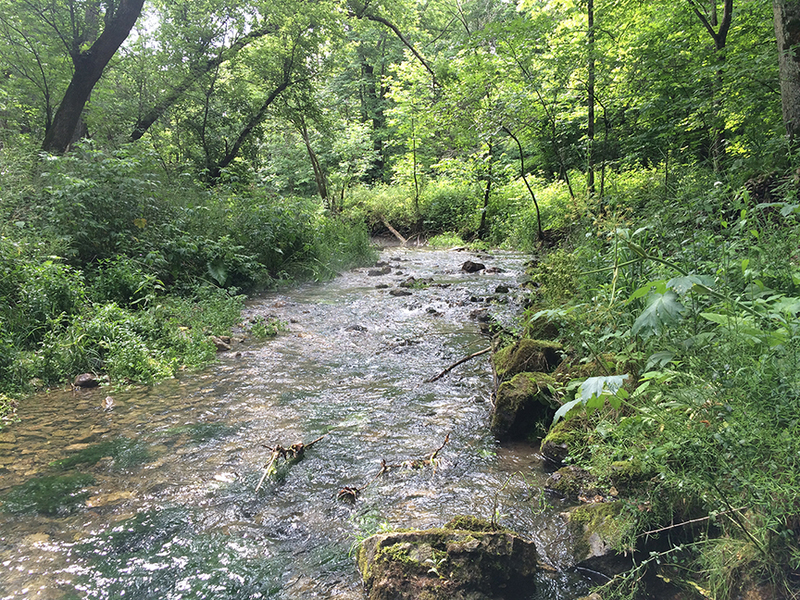 This was another stream that seemed to have a much lower population of fish, and that was confirmed by recent DNR shocking statistics. 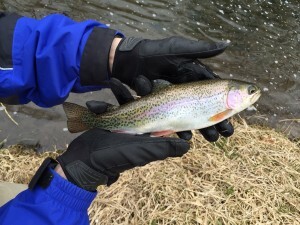 One of the highlights of Sunday was catching a handful of nicely-sized rainbow trout that had been planted in years prior as yearlings. They put up a hearty fight and were a pleasant surprise. Monday: it was the worst weather day of camp, but the fishing was close to the best of the 4 days. 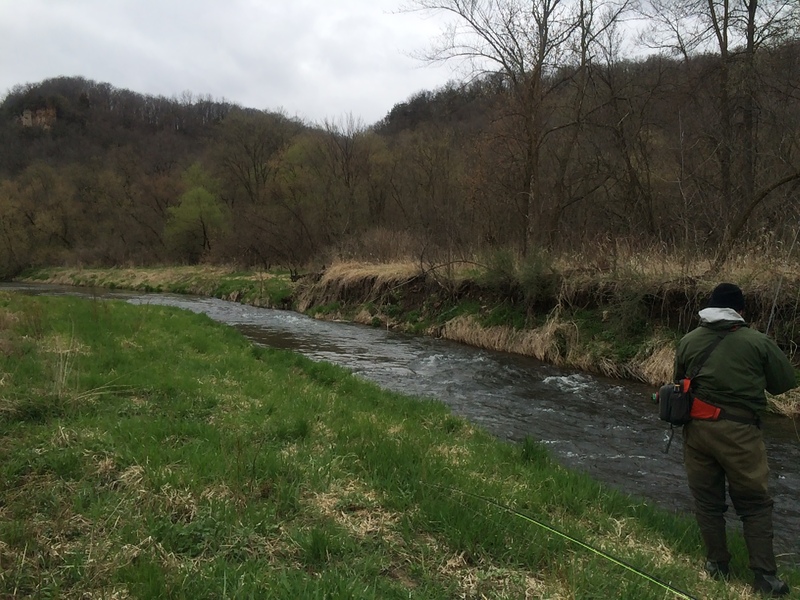 We ventured far back up a river valley and saw no other anglers the entire day. Fish were still actively feeding up in faster water although no hatching insects were seen above water. Successful patterns included a variety of nymphs, midge larva, woolly bugger, and that stinkin’ worm pattern. 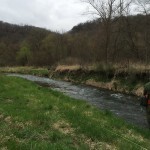 This entry was posted in fly fishing, Stream Conditions on April 22, 2015 by Randy. 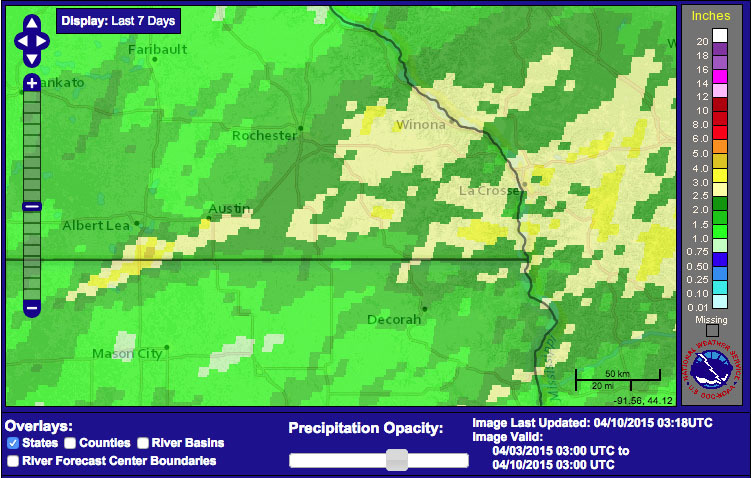 Recent Rainfall Reports for southeast MN, northeast IA, southwest WI. The rain and snow from a week soaked in showers and thunderstorms is wrapping up, but streams and rivers are still on the rise as of this posting. 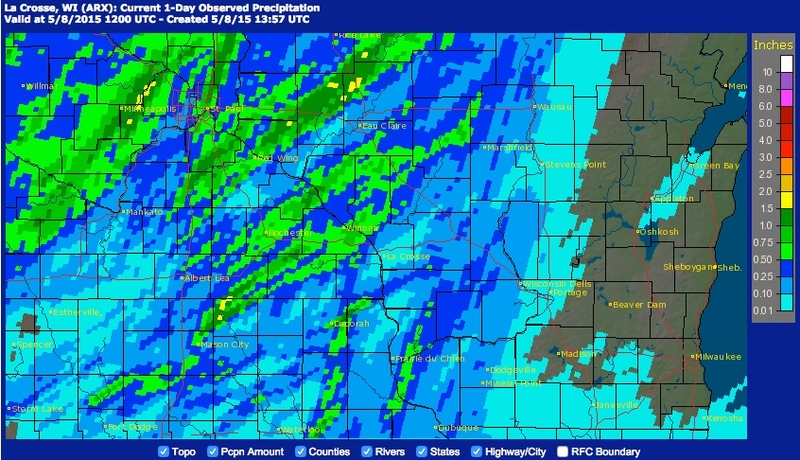 In addition to the totals linked to above, I got a call from my buddy who lives on the Middle Branch of the Whitewater, near Quincy, and he received 2.05″ of rain from 10pm on the 8th to 10pm on the 9th in addition to 0.5″ of snow late Thursday. While most streams will be high and dirty going into the weekend, it’s nice to come through a week with rain every day and not see any issues with flash flooding due to excessive precipitation. At least we can stop talking about drought for a while now. This entry was posted in Stream Conditions, weather on April 9, 2015 by Randy. A couple friends and I were joined by a gentleman from Denmark this morning. Thanks to his generosity, this (picture to the left) is how we ended the morning and it was the highlight of today’s fishing trip. He brought along a couple filets of smoked, Arctic Char from fish that he caught in Iceland. Delicious. The weather was overcast, cold, and gusty with the temperature around 30-31 all morning. I’ve been out at least a half dozen times since January and this is the first time I fought ice on the guides. By the time we got home at 12:30 there was a 10° jump in temperature and the sky was sunny. We each caught fish, the winning fly today was a black woolly bugger catching a few fish. Peeking caddis caught another, and a pink squirrel caught a beauty of a brown from underneath a fallen tree. Water was crystal clear, no water temperature taken, no insect activity or surface activity seen. We not only wrapped up the outing with a couple filets of smoked, arctic char, but venison sticks and cold coffee (by default of not bringing the thermos). Wow, it was good. 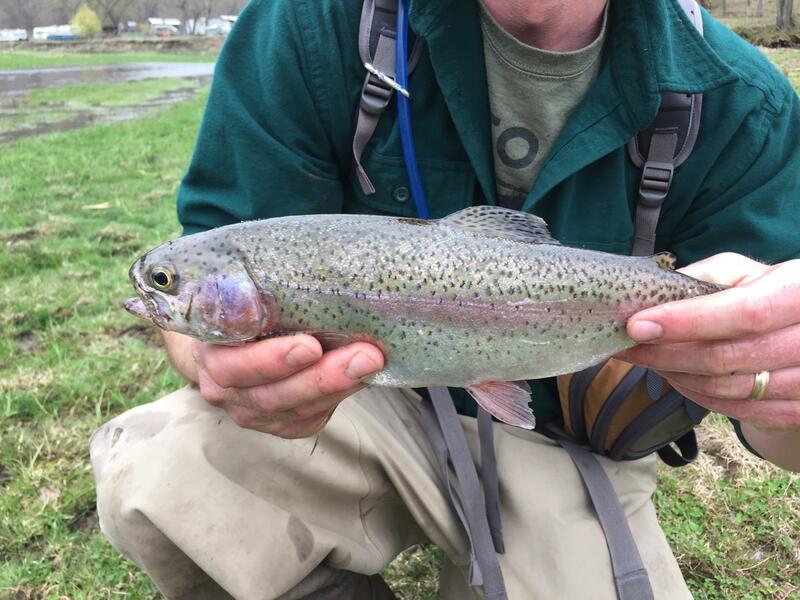 This rainbow was caught a long distance from where any are stocked – the first rainbow I’ve caught there in years. 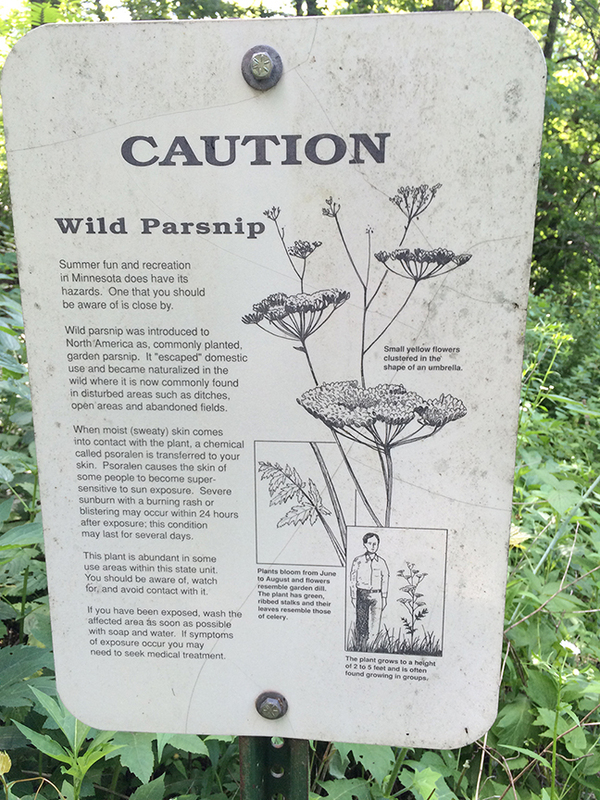 This entry was posted in Stream Conditions, Trip Report on April 3, 2015 by Randy.